A system developed by Alphabet Inc.’s DeepMind subsidiary has mastered three of the world’s most complex board games in an achievement hailed as a milestone for artificial intelligence research. The group detailed the system, which it calls AlphaZero, in a paper released today. The software is the third major evolution of AlphaGo, the AI that made headlines last year after beating the world champion in Go. AlphaGo took months to train and relied heavily on human input to master the notoriously difficult game. The second iteration, the first to bear the AlphaZero name, managed to surpass its predecessor’s skill level after a mere 30 hours by harnessing a new learning method. DeepMind’s latest system has successfully applied the same method to chess and the closely related Japanese game of shogi. AlphaZero shares little in common with traditional game engines such as Deep Blue, the computer that famously defeated former world chess champion Garry Kasparov in 1986. Whereas traditional engines rely on information from human players, DeepMind’s system learned to play all on its own. The group’s researchers supplied the AI with nothing more than the rules of the three games it was built to master. DeepMind explained in a blog post that “to learn each game, an untrained neural network plays millions of games against itself via a process of trial and error called reinforcement learning. AlphaZero has proved to be far more powerful than existing AI game engines. The system beat the previous record-holder in chess, Stockfish, after a mere four hours of training and took half that time to surpass the leading Elmo shogi engine. The fact that AlphaZero managed to learn three separate board games, each with its own distinct set of rules, demonstrates an unprecedented level of versatility for an AI. According to DeepMind, it shows that the system may be capable of mastering any perfect information game. 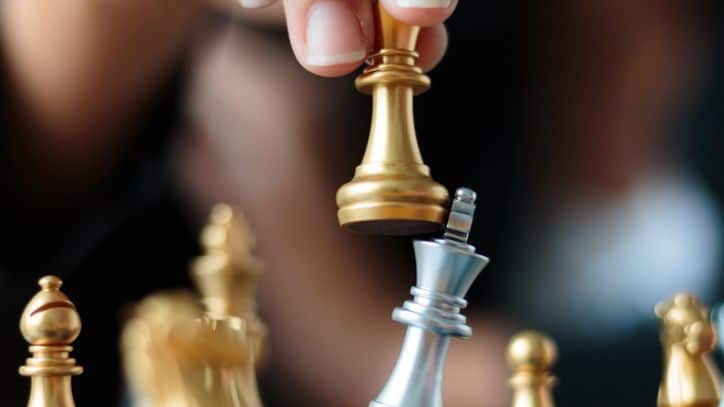 This category encompasses Chess, Go and other games that have so far been at the center of AI scientists’ research efforts. Murray Campbell, an AI research at IBM Corp. who helped develop the Deep Blue computer, wrote in an editorial that accompanied the AlphaZero paper. This achievement represents another step toward the holy grail of AI: artificial general intelligence, or software with the ability to solve problems across different domains as well as a human. DeepMind’s research is part of its long-term goal of harnessing AI to facilitate new advances in fields such as healthcare. But although the potential upside is significant, so are the risks. Concerns are mounting in the tech industry about the possibility of advanced AI technology being misused for unethical purposes. As it happens, the newest and one of the highest-profile calls for regulation so far came just this morning, against the backdrop of DeepMind releasing its AlphaZero paper.